Bed and Breakfasts in Research and Typing for 1 night from Sat Apr 20, 2019 to Sun Apr 21, 2019 within 25 miles, in an Average Nightly price range of £1 to £200. 4 Star Silver Award town centre B&B.Non-smoking.Private off road, secure car park. Free wi-fi.All rooms ensuite with dvd/cd tv's and freeview digital channels plus fridges, fans, hairdryers & beverage making facilities. Attractive oak beamed cottage set in five acres but close to main roads and motorways. Ample off road parking and attractive gardens. All rooms are ensuite with hospitality tray, hairdryer, iron, colour TV and radio. All rooms have broadband internet. Just a 15-minute walk from Kidderminster town centre, the hotel is set on the A456, within easy reach of many local attractions, including West Midlands Safari Park and Severn Valley Railway. A listed building, the Gainsborough House Hotel, Bar & Restaurant has recently been transformed into a stylish and contemporary property with 42 en suite bedrooms. It also boasts the ever-popular Gainsborough Restaurant, whose new surroundings and divinely tasty cuisine, prepared with fresh local ingredients, continue to delight. In the evenings you can relax in the Lounge Bar, which serves an extensive range of drinks and snacks to suit all taste buds. You can also watch the latest sports events on the bar's satellite TV. Bewdley Hill House is a well maintained Edwardian Villa with ample off street private parking. Easy to find on the A456 Kidderminster to Bewdley road, just a short walk from the town centre.All rooms en-suite with flat screen TV and alarm clock radio. Set in 20 acres of Worcestershire countryside, Mercure Bewdley The Heath Hotel offers comfortable rooms in an elegant setting, 17 miles from Birmingham. This restored 1870's Victorian house also feature original carved doors, fireplaces and stained glass. Free high-speed WiFi is available throughout the property. Each room at Mercure Bewdley The Heath Hotel has a private bathroom, a satellite TV, and a hairdryer, as well as tea and coffee making facilities. The hotel offers fully accessible bedrooms. Bewdley Pines Golf Club is a short walk from the hotel. Local attractions include Severn Valley Steam Railway, Bewdley and West Midlands Safari and Leisure Park. Picturesque Ludlow, Stourbridge Glassworks, Ironbridge Gorge and Stratford Upon Avon are a short drive away. Enjoy a day out in the country with visits to the Cotswolds and Malvern and Clent Hills. Kidderminster railway station is only 3 miles from the hotel. Our �2.5 million refurbishment is now complete and we are longing to welcome guests both old and new to Hogarths Stone Manor. The designers have brought the hotel up to date from the ground up to the top bedroom floor creating stylish surroundings modern dining areas and restful bedrooms with comfort in mind. We haven t stopped there the gardeners have been working on their own outdoor designs with fruit orchards children s den walled gardens and terrace. come and see for yourself! Experience a newly refurbished boutique hotel offering a modern restaurant bar and lounge along with 56 bedrooms acres of gardens and convenient for the Severn Valley Railway West Midlands Safari Park Bodenham Arboretum Kidderminster Stourport and the Worcestershire Countryside. Located in the historical county of Worcestershire, the elegant Hogarths Stone Manor is surrounded by idyllic countryside. Set in 25 acres of landscaped gardens, the hotel offers a croquet lawn, and a jogging route. Guests can enjoy strolls through the extensive grounds surrounding this typical country house. There is a walled garden with a beautiful water fountain and semi rural areas with wildlife. The comfortable guest lounge offers a log fire. There is free Wi-Fi throughout and free private parking onsite. The on-site restaurant offers modern European dishes using seasonal and local produce and is located in the heart of the Manor. Decorated in contemporary style, the restaurant has panoramic views over the gardens and offers al fresco dining in the warmer months. This unique and privately-owned Hogarths Stone Manor is a luxurious place. It is set away from everyday life, yet easily accessible to major towns and cities. It is close to many local tourist attractions, including the West Midland's Safari Park and Seven Valley Railway. The Leaking Well is located in the village of Dunhampton on the main A449 just 6 miles North of Worcester. Offering 8 Bedrooms in a newly built annex to the rear of the property all bedrooms are en-suite, spacious and quiet. Traditional Georgian farmhouse set in 3 acres of picturesque Worcestershire. All rooms En-suite Close to Droitwich, Worcester and M5 motorway. Free WiFi broadband in most rooms. Children & dogs welcome by arrangement. Lots of good pubs nearby. St Andrews Town Hotel is located in historic Droitwich Spa and offers you the best of both town and country. We are only minutes from the town centre and motorway network yet the elegant Georgian building and tranquil gardens make you feel as if you are in a country house retreat. We offer a superb restaurant the dining room and bar 31 contemporary styled ensuite bedrooms and excellent business facilities. We are also the perfect setting for your wedding or special celebration with a choice of function rooms civil wedding licence and our specialist events co-ordinator. With our recent change in ownership we have started an exciting programme of refurbishment work including updating the function rooms restaurant and bar upgrading the bedrooms and creating a luxurious bridal suite. The St Andrew s Town Hotel was built in the 1820 s as the home of the Town Clerk of Droitwich Spa. The original building has been extended and the name has changed several times but many of the trees which originally surrounded the house still grow in the grounds. Situated in a convenient location in Worcestershire just 7 miles from Worcester and 20 miles from Birmingham the St Andrews is an excellent base to explore all this beautiful part of the country has to offer. From our recently rejuvenated canals in Droitwich providing excellent walking paths the beautiful Cathedral City of Worcester with a wealth of shops bars and restaurants Birmingham which has great shopping in the Bull Ring to the Cotswolds you are sure to find something to occupy you during your stay. Here at St Andrews we are known for our friendly and personal service and would like to invite you to come and join us and experience it for yourself. St Andrews Town Hotel, located in historic Droitwich Spa, is only 5 minutes drive from the M5. This Georgian building boasts tranquil gardens and gives a country house feel. This elegant, recently refurbished hotel offers rooms which each have an en-suite bathroom, tea/coffee making facilities, and a TV with Freeview channels. There is free Wi-fi throughout, ample free parking, and a choice of meeting and function rooms. The Dining Room restaurant was awarded â€˜Best Local Restaurant' at the Droitwich Food & Drink Festival in 2013, and offers classic cuisine with a twist. St Andrews is less than a mile from Droitwich Railway Station, and within easy access by road or rail of both Worcester and Birmingham. Located just off the M5, Holiday Inn Express Droitwich Spa is just 10 miles from Worcester and 20 miles from Birmingham. With free parking, and free WiFi, the hotel features a bar and a breakfast selection each morning. All rooms have a spacious bathroom with en-suite facilities, a work desk, air conditioning, a TV, an iron, an ironing board and a hairdryer. Tea/coffee facilities are also available. Great Room has a bar with premium spirits, wines, beer, craft beer and soft drinks. A snack menu is available offering pizza and burgers.In the morning bacon rolls, cereals, toast, fruit and pastries are available. Holiday Inn Express features a 24-hour front desk, and daily newspapers are available. Cadbury World and West Midlands Safari Park can be reached within 15 miles of the hotel. Just 25 minutes' drive from Birmingham Airport and the NEC, Droitwich Holiday Inn Express is only 1.5 miles from Droitwich Railway Station. Offering a restaurant, a bar, free Wi-Fi and free parking, The Crown by Marstons Inns is located in Droitwich. The property is 12 miles away from the historic cathedral city of Worcester. All rooms at The Crown by Marstons Inns provide a flat-screen TV, a seating area and an en suite bathroom. A hairdryer and tea and coffee making facilities are also featured. Guests at this traditional inn can enjoy a wide menu of pub food and pub classics, as well as a changing choice of special dishes. There is an all-day offer of 2 main meals for the price of 1. Breakfast is also served every morning. The Crown by Marstons Inns is conveniently located just 1 minute drive from the M5 motorway. Birmingham can be reached after a 30-minute drive. Droitwich Golf Course is 2 miles away. Rural 17C former farmhouse, ROOM ONLY, 4 miles from Worcester City.<br> Fridge/Microwave/Toaster.<br> Off-road parking.<br> DOGS WELCOME. FREE WIFI ACCESS. Originally built in the 17th-Century on an arable farm, the Moseley Farm offers views of the countryside. Moseley Farm is 1.6 km from Hallow and 5.6 km from Worcester City Centre. Free WiFi and free private parking are offered. Guests can enjoy the large garden. There are tea/coffee making facilities in the rooms and guests can use the fridge, toaster and microwave which are available all day in the dining room. Popular local activities including walking at the nature reserve and dogs are welcome at the property. Bluemont Bromsgrove South Hotel is set in Bromsgrove. This 2-star hotel offers a 24-hour front desk and free WiFi. At the hotel, rooms include a desk, a flat-screen TV and a private bathroom. The rooms include a wardrobe. Birmingham is 32 km from Bluemont Bromsgrove South Hotel. The nearest airport is Birmingham Airport, 44 km from the property. Situated on the outskirts of Bromsgrove, Holiday Inn Bromsgrove offers stylish air-conditioned rooms and a leisure centre. Just 30 minutes from Birmingham centre, there is free parking, free Wi-Fi and an on-site restaurant. The spacious rooms are elegantly decorated and feature en-suite bathrooms. All rooms have a mini-fridge and laptop safe. Rooms also offer large work desks, and 24-hour room service is available. Revive Health Club has a heated indoor swimming pool, sauna, steam room and air-conditioned fitness suite. There is also a range of spa treatments available, and Bromsgrove Golf Centre is just 5 minutes' drive away. The Cow on the Hill restaurant specialises in steaks which are cooked to order. Located just off the M5, Holiday Inn Birmingham Bromsgrove is within easy reach of the NEC and Birmingham Airport. Cadbury World is just 15 minutes' drive, and Bromsgrove Railway Station is 2 miles away. With beautiful gardens, homemade food, log fires and antique furniture, Dunsley Hall is a enchanting luxury hideaway. Recorded as far back as 1304, Dunsley Hall Hotel is a historic charming manor house and magical venue for any occasion. Each bedroom has an individual design, and many have antique brass beds and lovely views. Newly refurbished country restaurant bar and Inn. We are a 10 minute drive from Worcester city centre and a great location if you are visiting Malvern. We have nine quality 4star en-suite rooms. All but one are on ground-level and the majority have direct private access to the gardens through French windows. All our rooms are well presented with many featuring stunning individual artwork by local artists. The rooms have all the usual features and fittings and much more with each room having television Free Wi-Fi tea and coffee making facilities hair-dryer and all rooms having crisp white linen and towels with plenty of space to relax and work. Set in 20 acres of landscaped gardens, The Pear Tree Inn is just 10 minutes from Worcester. With free parking and a restaurant, the hotel is 2 minutes from the M5 motorway. The colourful rooms at The Pear Tree Inn & Country Hotel each have a private bathroom with free toiletries and fresh towels. Rooms also offer tea and coffee facilities, satellite TV and a work desk. The Pear Tree Restaurant serves a varied menu using seasonal, local produce. The traditional country pub offers fine wines, beers, and a light snack menu. Room service and cooked breakfasts are also available. With a scenic countryside location, the family-run Pear Tree Inn & Country Hotel is just 15 minutes' drive from Worcester Racecourse. Droitwich is a 5-minute drive away and Birmingham can be reached in 20 minutes' drive. 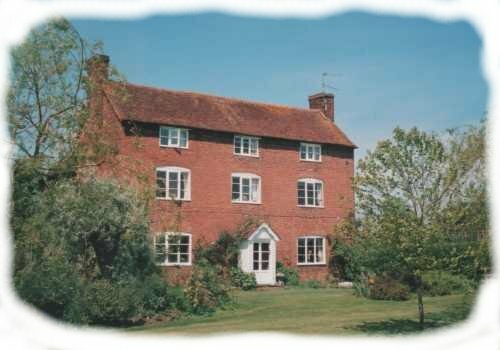 The Dewdrop Inn is situated in Lower Broadheath a 5-minute drive from Worcester. Set in a Georgian building it offers rooms with free Wi-Fi, a restaurant with a bar and free parking. Rooms at the Dewdrop have power showers and TVs. Guests can also enjoy in-room tea and coffee making facilities. The restaurant uses locally sourced fresh food in all its menus. The bar has a good range of ales, wines and spirits. The Dewdrop is only a few minutes' walk from the birthplace of Sir Edgar Elgar, the famous English composer. Lower Broadheath is a popular location for walkers, cyclists and anglers. Worcester Races and Shelsey Hill climb are also nearby. Set directly opposite St Mary’s Church (famous for its twisted spire) in the center of Cleobury Mortimer - gateway to the Shropshire Hills. The fully refurbished 15th century Kings Arms provides quality food and beverage everyday from 10.00am. A favourite with shoppers for a morning coffee & pastry or a bite of lunch and a meeting place for local people taking advantage of our free Wi-Fi access. Set directly opposite St Mary s Church (famous for its twisted spire) in the center of Cleobury Mortimer - gateway to the Shropshire Hills. br / br / br / br / The fully refurbished 15th century Kings Arms provides quality food and beverage everyday from 10.00am. A favourite with shoppers for a morning coffee & pastry or a bite of lunch and a meeting place for local people taking advantage of our free Wi-Fi access. br / br / br / br / A great selection of local Hobsons hand-pulled Ales Continental beers excellent wines & premium spirits ensures there is always a willing crowd at the bar. Daily newspapers are always on hand for those that want a quiet drink. br / br / br / br / Visitors to the area are shown a warm welcome and our 4 newly refurbished en suite Guest rooms are stylishly equipped with all the comforts of home plus a bottle of Hobsons beer on the house so have a welcome drink on us. br / br / br / br / We look forward to seeing you soon! Located between Bromsgrove and the city of Birmingham with good links to the M5 and M42 the Bromsgrove Hotel and Spa provides a central location in the heart of England. Spacious rooms are traditionally decorated and are well-equipped for a relaxing and comfortable stay. They are ideal for short and extended stays in the area. The hotel offers leisure facilities including a fully equipped fitness centre and heated indoor swimming pool. The restaurant is open for breakfast and dinner. The hotel bar offers a wide variety of beverages in an relaxing environment. Wi-Fi is complimentary in public areas and chargeable in guest rooms. Two free sessions of 20 minutes followed by cost of �7.00 per 24 hours. Car Parking charged at �5.00 per day. Bromsgrove Hotel and Spa is just 10 miles from Birmingham city centre and offers a restaurant, a cafÃ©, a bar and health centre. Rooms are located on the ground floor or first floor and have en suite facilities and a flat screen TV. The hotel restaurant is open daily serving breakfast and evening meals plus the Court Bar offers a variety of beverages throughout the day. Bromsgrove Train Station is approximately 5 miles away and Birmingham International Airport is 20 miles away. The NEC and Cadbury World are a 20-minute drive from the hotel. This 3-star hotel's attractive original structure dates back to the 1630s. Inside, the hotel offers comfortable accommodation with beautiful original features and period charm. With a great location on the main High Street of the historic market town of Stourbridge, the Talbot Hotel is situated on the edge of the Black Country, with excellent access to the region's major roads. The hotel has good road links to junction 3 of the M5 motorway. The hotel's charming, original character makes for a pleasant and fascinating stay. The building's attractive period features include old oak beams, stuccoed ceilings, the half-timbered black and white rear faÃ§ade and the old bells used to call the servants. All of the rooms are unique and individually decorated and furnished. Each room is clean, comfortable and well equipped with all the modern comforts and facilities you need for a peaceful break.